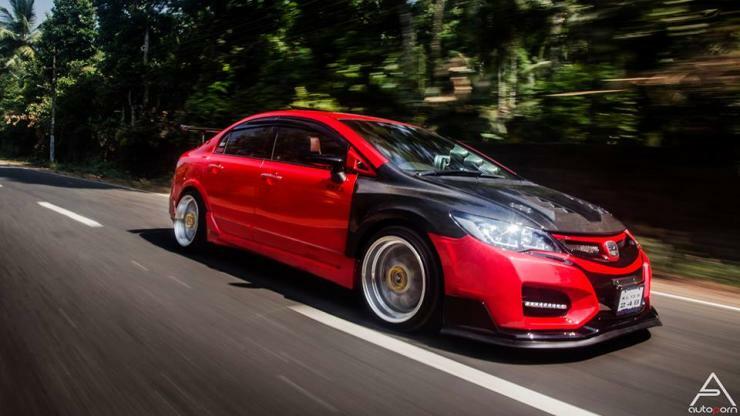 The Honda Civic looks like a million bucks even bone stock. Few cars can claim to do so more than a decade after launch. 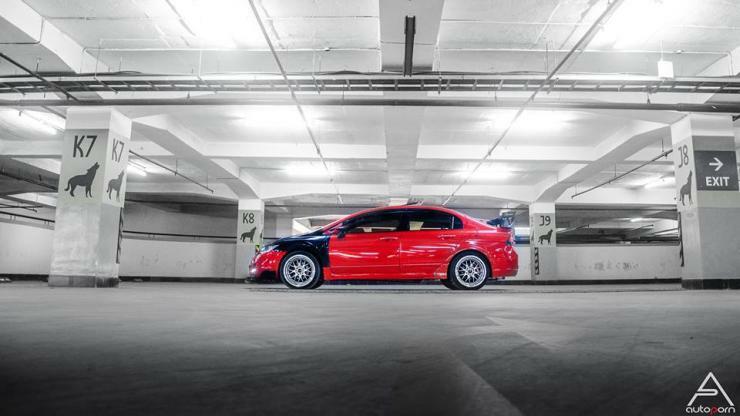 Such is the timeless design of this Honda sedan. N0w, when the Civic hits the modders circuit, the results can be devastatingly beautiful. 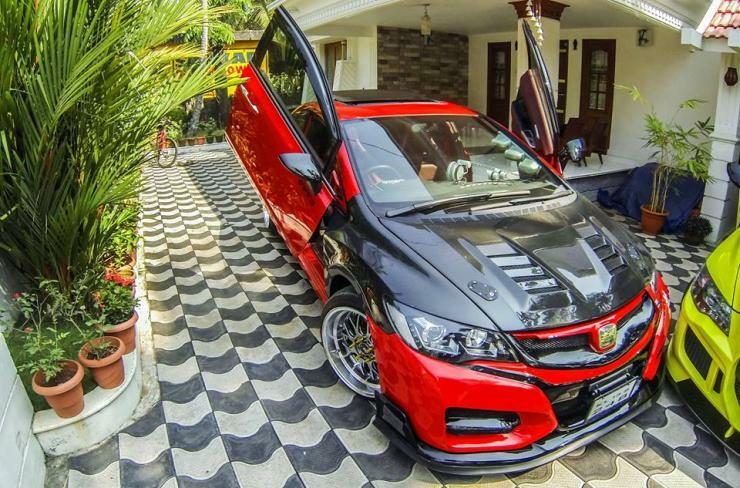 Here’s one of India’s sharpest looking Civics, straight from that part of the country where modified cars are dime a dozen, Kerala. This car has been done up by 360 Motoring – Car Energizing Studio from Kottayam, Kerala. There’s a long list of changes made on the car, which come together to make it look so ravishing. 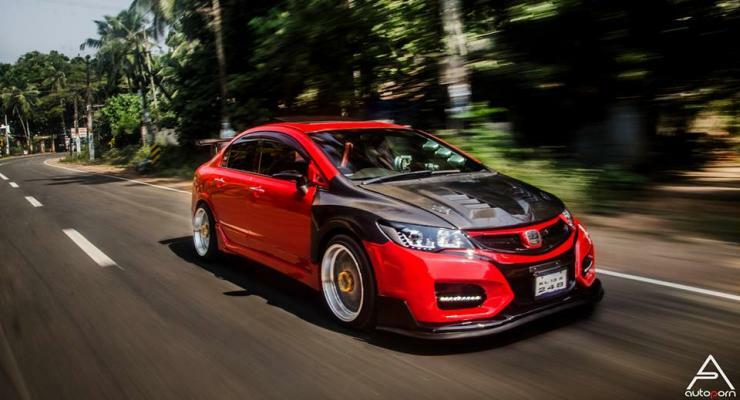 Under the hood, the 1.8 liter i-VTEC petrol motor has been largely unmodified, except for slight changes such as a Simota air intake, a muffler from HKS and stainless steel performance headers. 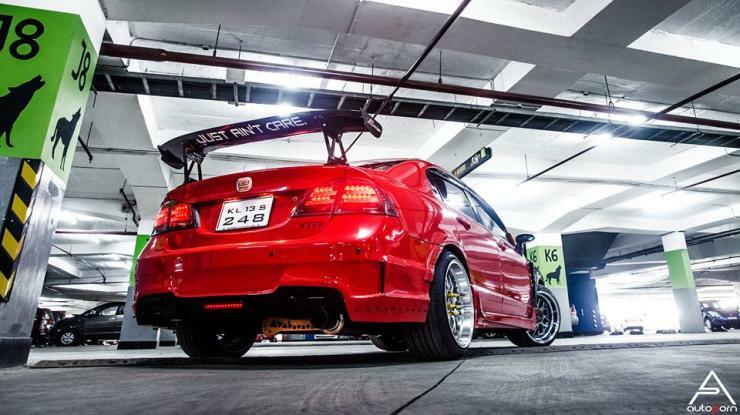 Coming to the other changes on the car, they include a Type-R body kit, one that really transforms the looks of the car. A TEIN lowering kit makes the car hug the ground while the 32 step adjustable suspension is meant to improve handling across multiple roads. 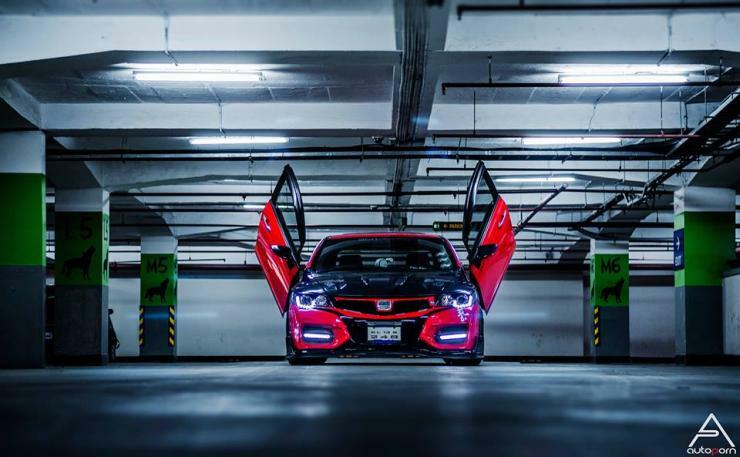 The car rides on 18 inch deep dish rims, which means that the suspension modification makes a lot of sense. A camber kit from Hardrace keeps the wheels from fouling with the fenders. Moving to some more visual modifications, carbon fiber fenders, a bonnet wrap, an automatic sun roof from Webasto, after market headlamps and tail lamps, a JS racing carbon fiber spoiler, scissor doors, custom seats, revised mirrors, Mugen door visors and a new interior scheme are the other changes. Do note that some of the modifications are illegal unless approved by the RTO. So, if you want to transform your Civic too, do make sure that you get the necessary approvals. « Cars & SUVs going for 1 lakh+ DISCOUNTS!